There are many popular low carb snacks that are quick and easy to prepare and keep dieters satisfied. Some of the best snacks to try include celery and peanut butter, avocado and shrimp, tuna salad crisps, and guacamole and vegetables. Healthy snacks combine fiber, healthy fats, and protein. Most snack foods offered in the stores contain wheat flour, corn syrup, and sugar meaning that they are packed with carbohydrates. Thus, you have two options – you can either sign up for a diet plan or prepare snacks at home. If you opt for homemade food, your grocery shopping list should include salad vegetables, eggs, cheeses, meat, and seeds and nuts. Coleslaw is an excellent snack but make sure it has no added sugar. You can also make dips such as salsa, cheese dip, sour cream dip, or pico de gallo and serve them with snacks. You can make a tasty sour cream dip by mixing sour cream and cream cheese. You can add parmesan cheese to make it cheesier. You can use other ingredients as well. One idea is to add a bit of lemon juice and avocado. Alternatively, you can use boiled egg or chopped celery. Hard boiled eggs are a great choice for a snack. Eggs contain protein and fat and are a good source of vitamin A, B6 and B12, manganese and iron. You can combine mayonnaise, mustard, onion, olives, and egg yolks and spoon the mix into the white halves. Another idea is to make bacon and egg salad with lettuce, tomatoes, and balsamic vinaigrette. Alternatively, you can prepare eggs in a spicy sauce. You will need coconut cream, chillis, onion, garlic, and herbs. You can also make scrambled eggs and serve with vegetables and cheese. Other great snack ideas include tuna salad, pepperoni slices, beef jerky, and stuffed mushrooms. You can combine crumbled sausage, cream cheese, and cheddar to make stuffed mushrooms. Another option is to combine onion, garlic, blue cheese, and cream cheese and stuff the mushrooms. You can use different combinations and add sour cream, nuts, and seeds. Most low carb diets recommend eating fruits and vegetables. Fruits make for a healthy low carb snack, and you can have blueberries, strawberries, peaches, and other fruits. You can eat fruits with low-fat yogurt. If you prefer to have a veggie snack, you can choose from a variety of approved vegetables, including radishes, cherry tomatoes, and cucumber. Serve with a low carb dressing. You can either buy a salad dressing or you can make one at home. You will need lemon juice, vinegar, and olive oil. You can add fresh spices, herbs, and salt and pepper to taste. Herbs you can use include cumin, coriander leaves, dill leaves, and others. If you want to try something different, you can make peanut and chili dressing. You will need peanut butter, soy sauce, lime, and sesame and chili oil. You can serve with salads or steamed vegetables like broccoli. This is a tasty, light sauce to serve as a dip. You can have it with steamed carrots, celery sticks, or peppers. Some grocery stores also offer low carb ranch, Caesar, blue cheese, and French dressings. Look at the label before you buy. 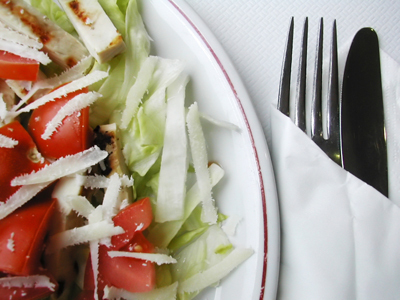 Stay away from fat-free, reduced-fat, and low-fat dressings. Pay attention to the carbohydrate content and make sure you buy dressings with no added sugar. There are different types of cheese you can have on a low carb diet. These include cottage cheese, cheddar, Swiss cheese, and goat cheese. You can combine them with other ingredients to make healthy snacks. For example, you can have vegetables with cheese spread, made of garlic, parsley, olive oil, and cheese. You can also make fried cheese balls, cheese crisps, or fake French toast. Cheese, eggs, meat, vegetables, and fruits make for healthy snack options, and you can combine them any way you like. With a little creativity, you can have delicious snacks that are easy to prepare.